1, find a support 187.5k cables, rear and PLC connection, the system blocks the baud rate modify. Execution of the program “wipeout.exe” not only delete user programs and CPU will revert to the default settings, the network address: 2, Baud Rate: 9.6K. Note: wipeout.exe software can not be used in conjunction with USB/PPI cable. 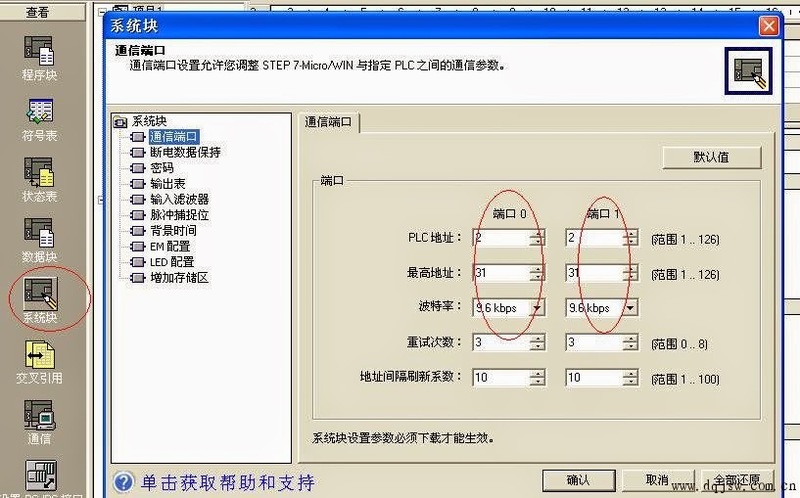 Siemens offers a wipeout.exe program can remove programs, and password，restore the factory communication baud rate can be downloaded online from Siemens. This entry was posted in plc program on April 16, 2014 by arco.